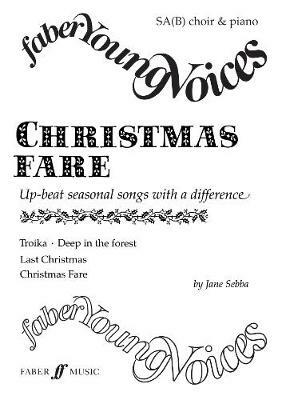 Jane Sebba's Christmas Fare contains four original songs: the sprited, jazzy Troika and Christmas Fare contrast strikingly with two poignant, moving ballads Deep in the Forest and Last Christmas to produce an irresistible, entertaining collection. The Faber Young Voices series is arranged for upper voices, with an optional low alto or baritone part (for newly changed or unstable voices) and with manageable piano accompaniments. The series is designed for young or newly formed choirs looking for rewarding repertoire.